Common Sore Throat or Something Else? We all know that raw, scratchy feeling in the back of the throat. It could just be dry winter air, seasonal allergies, or a plain old cold. But it also could be a bacterial condition, like strep, or a viral infection or something else. Only your health care provider can tell for sure. But you can look for a few signs on your own. 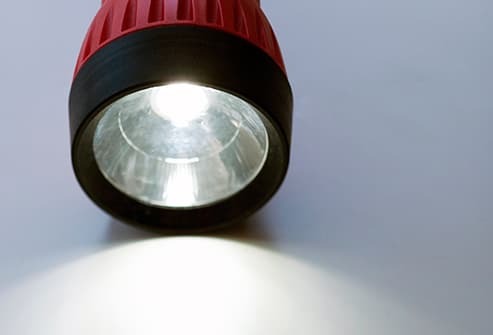 Grab a flashlight, look in the mirror, and say, "Ahhh." You could find some important clues. You might see white dots or patches in the back of your throat. Your tonsils -- the bumps on either side at the back of your throat -- might be red and swollen, too. These could be signs of bacterial infection like strep throat or oral thrush, or a viral infection like oral herpes or mononucleosis. They also might be something else, like tonsil stones, which are painful calcium deposits on your throat. Do You Have Cold Symptoms? If you have a cough and drippy nose along with your sore throat, that could be good news. You may feel crummy, but you're less likely to have a serious infection. You probably just have a common cold virus and post-nasal drip. 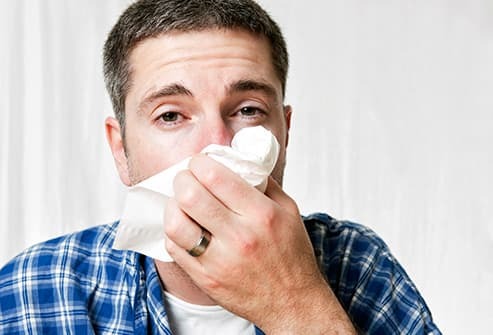 Colds can cause a fever, but it’s usually just a mild one. If you have a sore throat and a fever over 101 F, it's more likely to be a throat infection like strep than a simple cold. But these don’t always raise your temperature -- so watch for other symptoms. Are Your Lymph Nodes Swollen? The most common reason is infection -- viral or bacterial. 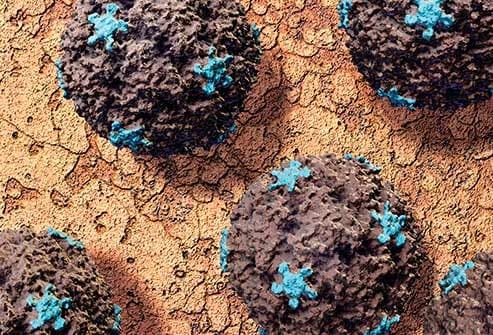 Lymph nodes trap and destroy germs, and they can swell up when they start to fight an infection. You might feel them under your jaw or on either side of your neck. But it doesn’t always mean anything serious. Even the common cold can cause swollen lymph nodes. 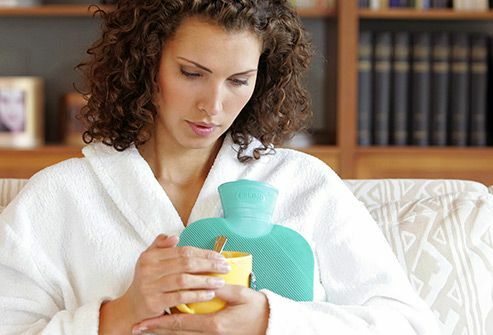 When a cold causes your sore throat, it can be plenty painful, but it usually goes away after a couple of days. Bacterial infections, like strep throat, tend to cause more severe pain that doesn't get better. With strep, it may hurt so much that you can barely swallow. Sometimes, it can cause nausea, loss of appetite, headaches, or stomach pain as well. A rash on your neck and chest that sometimes spreads to the rest of your body can be a sign of a group of bacterial infections called streptococcal infections. The most minor of these is strep throat, but they also include more serious ones, like scarlet fever, bacteremia (bacteria in the blood), and toxic shock syndrome. They all need to be treated by a doctor -- usually with antibiotics -- as soon as possible. 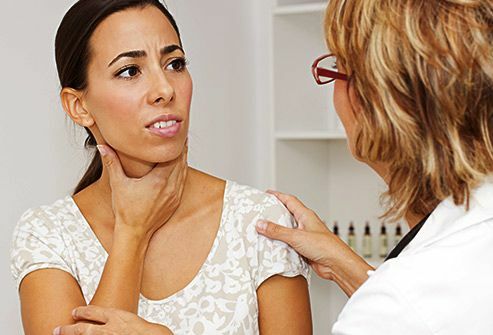 They may feel the same, but a common sore throat and bacterial infections are very different. Most sore throats are caused by viruses, like the cold virus. 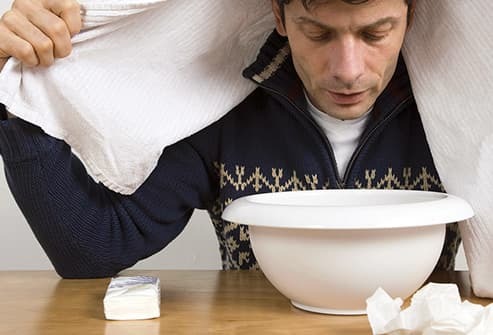 No medication will cure a cold virus -- you have to let your body heal on its own. But antibiotics can fight a bacterial infection, such as strep, and stop it from spreading. If you have a sore throat from a cold, antibiotics won't help at all. They only help against bacteria not viruses. 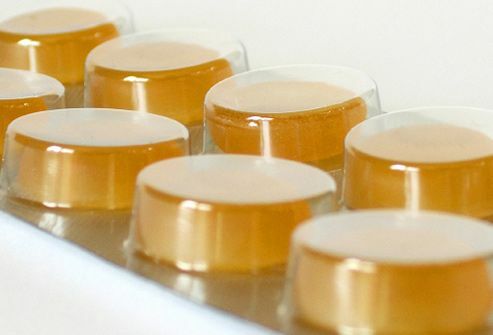 Taking antibiotics when you don't really need them has a risk, too. Too much exposure to antibiotics can turn regular bacteria into "super bugs" that don't respond to treatment. To figure out if strep -- the most common bacterial throat infection -- is causing your sore throat, your doctor may use a rapid strep test. Results are ready in 5 to 10 minutes, but the test doesn’t pick up all cases of strep. If yours is negative, your doctor may send a throat culture to the lab to be sure. That’s more thorough, but you won’t get the results for a few days. If you do have a positive strep test, your doctor will give you oral antibiotics. 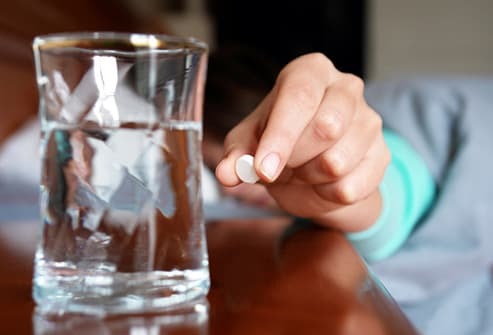 You'll probably feel better in a day or two, but don't stop taking the medication -- finish the whole course, which is usually 10 days. If you stop too soon, some of the bacteria could survive and get you sick again. You'll still be contagious up to 24 hours after you start antibiotics, so wash your hands often to protect people around you. And throw away your toothbrush. No matter the reason for your sore throat, simple home remedies can make you feel better. One thing that might work is a saltwater gargle. 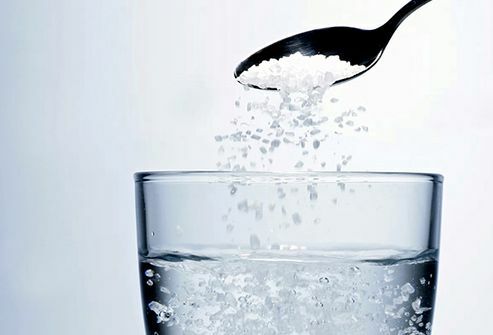 Just mix half a teaspoon of salt into a glass of water, then gargle, and spit it out. It can keep your throat moist, help with swelling, and ease that raw, scratchy feeling. Steam from a humidifier or vaporizer can keep your scratchy throat moist and cut down on pain. You can also lean over a sink with hot running water. Drape a towel over your head to trap the steam, and breathe deeply. Try this for 5 to 10 minutes several times a day. Try a warm water bottle or heating pad against the outside of your throat. Or wet a towel with hot water to make your own warm compress. It can help soothe tender lymph nodes in your neck. If you need an excuse to eat ice cream, a sore throat is a great one. The cold has a numbing effect, and the creamy texture makes it easy to swallow. Other soothing foods include milkshakes, gelatin, and hot soup. If your sore throat is especially painful, stay away from crunchy or spicy foods. If you have a fever and don’t drink enough fluids -- because it hurts to swallow -- it can make you dehydrated. Choose drinks that are easy on your throat: Water and warm tea are good choices. Stay away from citrus drinks, though, because they may sting your sore throat. Over-the-counter medicines like acetaminophen, ibuprofen, or naproxen can help dull the pain of a sore throat. But be careful if you’re taking something for a cold or the flu -- some of those medications already include a painkiller. You don't want to take a double dose. You can soothe a painful sore throat with a numbing spray or lozenge. (But don’t give lozenges to small children.) Carry a travel-size throat spray in your purse or briefcase for relief on the go. Sucking on ice chips can also bring some relief. If you have a cold -- and fluid draining from your nose irritates your throat -- you could try a decongestant nasal spray or oral decongestant. They help dry up postnasal drip and give your throat some relief. Just follow the directions and don't take them longer than recommended. 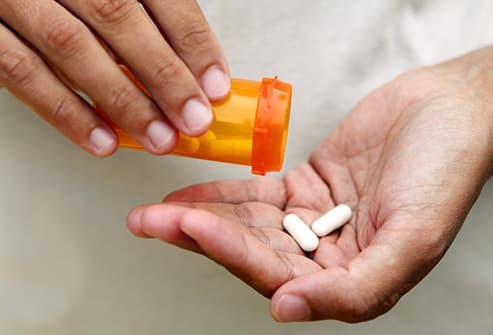 If you use any other regular medications -- or have high blood pressure or heart problems -- check with your doctor first. If it lasts longer than a week or gets worse, check with your doctor, even if you had a negative strep test. 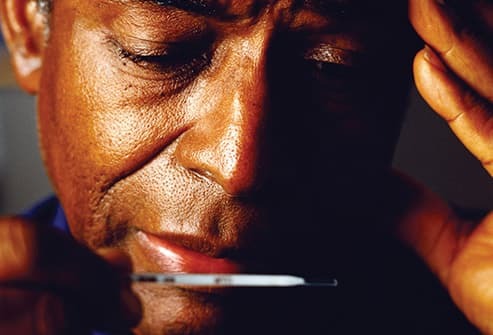 A throat swab may miss bacteria, so you may need another one. 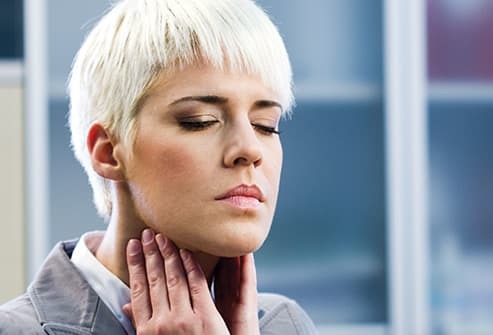 A sore throat that doesn't go away could also be a sign of acid reflux, mononucleosis, or another condition. American Academy of Otolaryngology - Head and Neck Surgery: "Sore Throats." 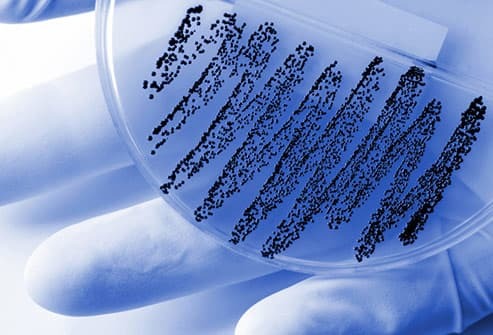 Bradley University: "A 'superbug' approach to antibiotics." CDC: "Sore Throat," "Symptom Relief." HealthyChildren.org: "When a Sore Throat is a More Serious Infection." 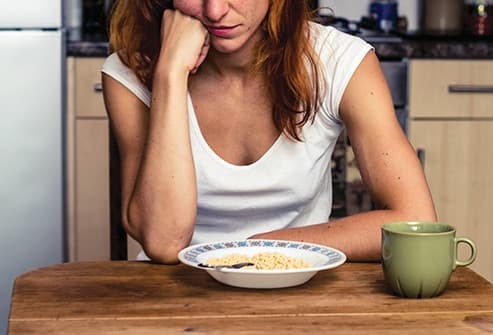 National Cancer Institute, National Institutes of Health: "Eating Problems and Ways to Manage Them." National Institute of Allergy & Infectious Diseases, National Institutes of Health: "Strep Throat." Rutgers Health Services: "Cold & Flu." University of Michigan: "Infectious Mononucleosis." Wisconsin Department of Health Services: "Streptococcal Pharyngitis."